Civil servants have given dialogue a chance and will meet Government on Monday over their salaries and conditions of service. The Government workers had issued a 14-day strike notice which lapsed on Thursday but have shelved the plans to down tools in favour of dialogue to find a lasting solution. The workers yesterday ruled out a premature strike, saying they were yet to exhaust negotiating channels. This comes as civil servants yesterday started withdrawing the 22,7 percent cushioning allowance offered by President Mnangagwa. The allowance, which covers the period January to March, is a way of cushioning the civil servants from challenges in the economy. The offer has nothing to do with negotiations underway. 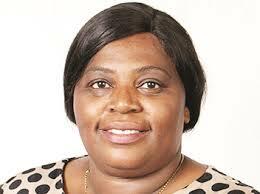 Apex Council chairperson Mrs Cecelia Alexander said they would meet Government early next week. Mrs Alexander said as workers they expected Government to have improved on its offer of $300 million. Government last week raised its salary offer to civil servants from $160 million announced early this month to $300 million. The $300 million is to be shared by workers in the civil service as an increment from April to December this year. “We hope in the Monday meeting they will be giving us a positive feedback,” said Mrs Alexander. Apex Council secretary Mr David Dzatsunga yesterday confirmed cushioning allowances for the civil servants had started trickling in. “Some of our members have started receiving their allowances and we appreciate the gesture as we wait for the outcome of the salary negotiations,” he said. The workers are demanding a $1 733 salary for the least-paid worker, up from $414 inclusive of allowances. Public Service, Labour and Social Welfare Minister Dr Sekai Nzenza this week said Government cared about its employees. “In an effort to continuously improve the welfare of public servants, Government has already embarked on various monetary and non-monetary incentives, including provision of transport services to public servants and provision of affordable housing schemes for public servants in places and locations of their choice and at their places of work,” she said. Dr Nzenza said in an effort to resolve the issues confronting both business and labour, Government was engaging the social partners through the Tripartite Negotiating Forum (TNF). “It is envisaged that the agreed social contract will lead to stabilisation of the economy and improvement in the general welfare of the people,” she said.